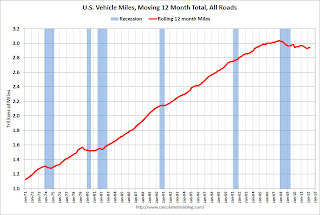 Travel on all roads and streets changed by -0.4% (-1.0 billion vehicle miles) for April 2012 as compared with April 2011. 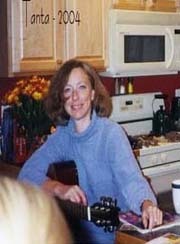 Travel for the month is estimated to be 247.2 billion vehicle miles. 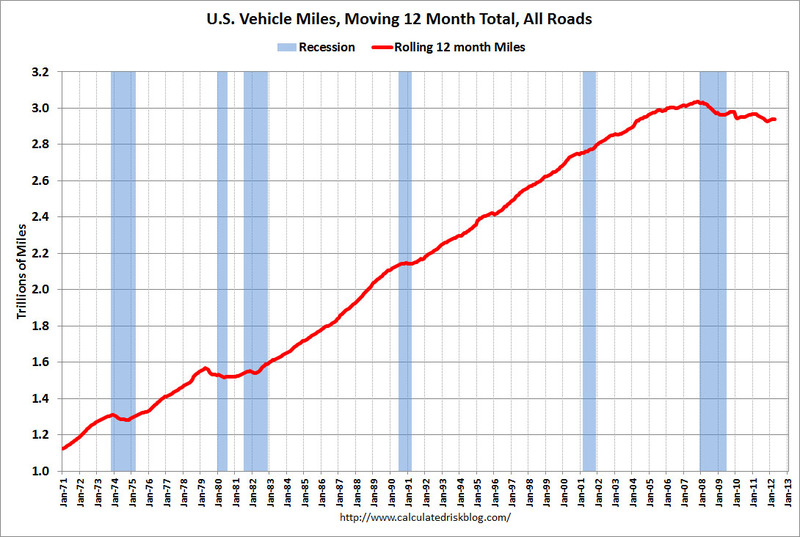 The rolling 12 month total is mostly moving sideways. 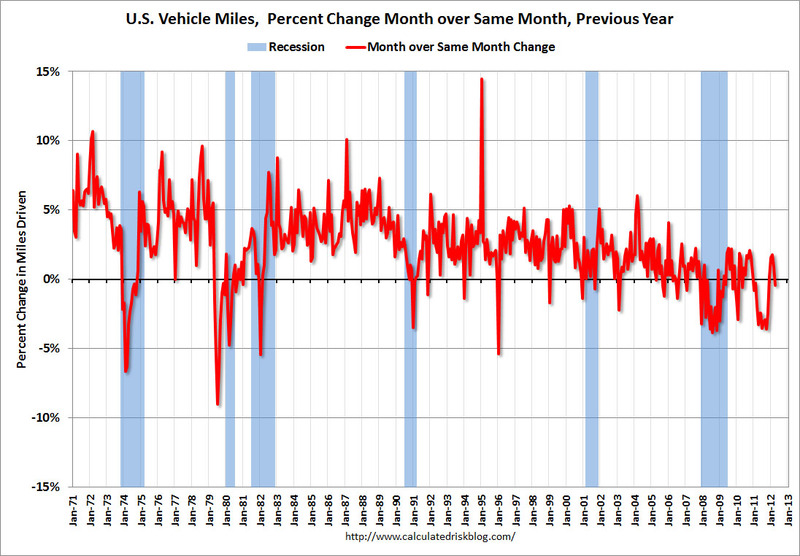 Currently miles driven has been below the previous peak for 53 months - and still counting. 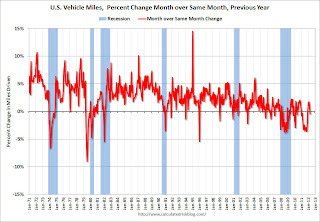 Gasoline prices peaked in April at close to $4.00 per gallon, and that was higher than the $3.85 per gallon drivers paid in April 2011 - so it makes sense that driving was off a little year-over-year. Gasoline prices were down in May to an average of $3.79 per gallon according to the EIA. Last year, prices in May averaged $3.96 per gallon, so I'd expect miles driven to up year-over-year in May. However gasoline prices is just part of the story. The lack of growth in miles driven over the last 4+ years is probably also due to the lingering effects of the great recession (high unemployment rate and lack of wage growth), and also the aging of the overall population. Census data shows that gasoline demand peaks around age 50, and then starts to decline - so many "baby boomers" are probably driving less now.